Yogi breaks the ice and builds trade show traffic for many kinds of clients. He’s an American legend who keeps on giving, teaching lessons of fair play, sportsmanship and teamwork. Yogi is also great for speaking engagements, when you are looking for something different. 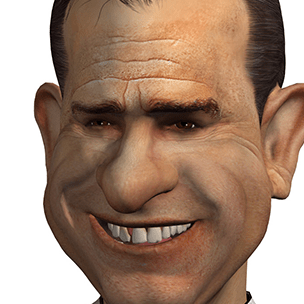 From caricature illustration to interactive virtual character – magic! Over the past 70 years, Yogi has been one of the most successful faces in advertising. He has engaged and connected with millions of fans and customers alike. 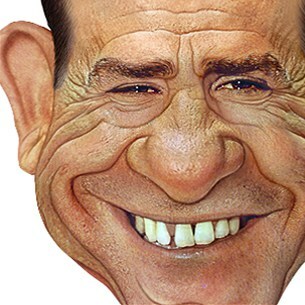 His image has helped promote a wide variety of products. One of America’s most beloved sports celebrities is being reincarnated in the form of a virtual character by performance-animation artist Gary Jesch of CHOPS Live Animation. 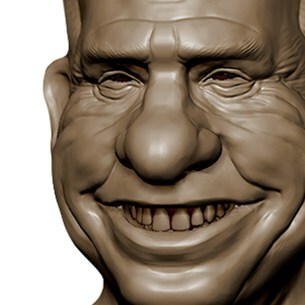 “Virtual Yogi” is ready for stages and screens around the world in his computer-generated caricature form, ready to share his wisdom, Yogi-isms and product/services sales acumen just as he did for many decades right up to just a few years ago. 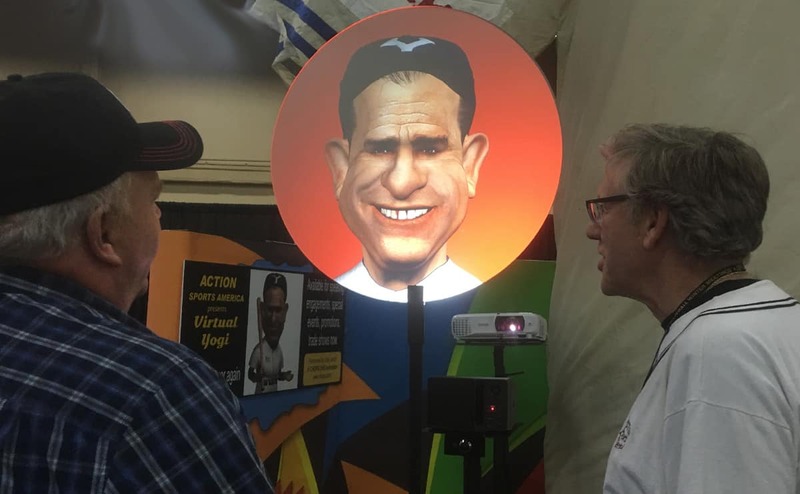 Through the permission of the Berra family and the nationally-renowned licensing/memorabilia firm Steiner Sports, Jesch is entertaining and amusing baseball fans, corporate audiences and even children in the coming months with his computer wizardry. Yogi Berra was a Baseball Hall of Fame catcher and outfielder for the New York Yankees from 1947 to 1963, winning three American League MVP Awards during his remarkable career. He managed both the Yankees and the NY Mets and is the only major league player to own 10 World Series Championship rings. He was awarded the Presidential Medal of Freedom in 2015 by President Barack Obama just a few months after he passed at 90 years old. Such beloved sayings as “It ain’t over ‘til it’s over,” “When you come to a fork in the road, take it,” “Nobody goes there any more – it’s too crowded,” and dozens of others are still heard in common use every day. 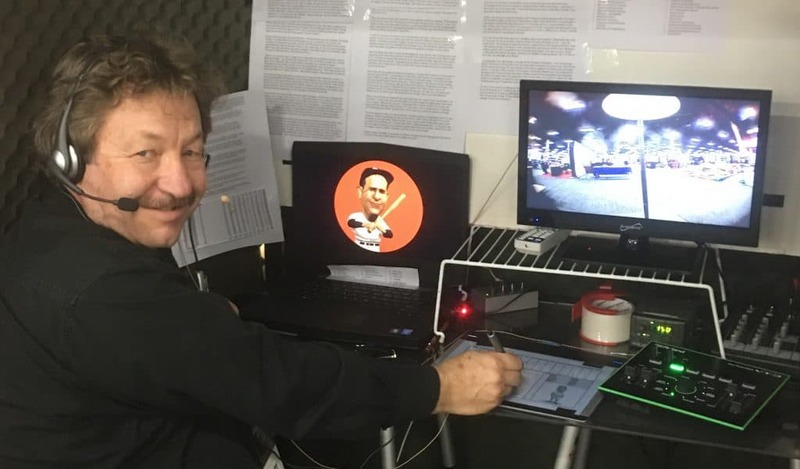 Jesch, shown in the photo above, performs as Yogi in real time from his performance control booth. He sees and hears his audience in real time and speaks with them in his Yogi voice. Occasionally he refers to his minimal notes. “Getting to know Yogi is like drinking from a firehose – there is just so much material,” Jesch says. Jesch assembled an “all-star” team of artists in order to create his avatar. A caricature artist who goes by the name of DonkeyHotey did the original illustration based on a famous Yogi photograph. Then that art served as a reference for 3D animator Isaac Oster of Austin, TX, a 3D character specialist, while Tom Knight of Laguna Nigel, CA, handled the final stages of development and creation, working alongside Jesch for more than four weeks to completion. Motion capture files were purchased from Motus in the Netherlands and facial morphs came from Polywink in France. The stadium background is a fine piece of 3D art by Kuba, a 3D artist from Warsaw, Poland, who developed a model of Yankee Stadium complete with a crowd! One discovery from the project is the realization of just how much material is available to create Virtual Yogi presentations. From his always-favorite “Yogi-isms” to the century and more of Yankee baseball history complete with colorful characters like Joe DiMaggio and Casey Stengel, there is more than enough storytelling to go around. Add the wealth of Yogi’s own personal player stats as well as the 10 World Series Championships he participated in for good measure. However, when it comes to the portrayal of Virtual Yogi and his story, we have relied on professional script and marketing communications writer Carol Holland Lifshitz, who actually grew up around the Yankees and and who worked with him directly, creating ads and commercials for Yoo-Hoo chocolate drink. We learned about Carol and were excited to bring her on our team just in time for the debut at the Baseball Winter Meeting in Las Vegas in 2018. She lent a hand by contributing many pages of custom scripting for our latest presentations, which you’ll see during our live performances as well as on our live programming work online. Another significant contributor is Ira Silverman, known to many as “The Connector.” Ira is a sports publicist and writer whose contacts and sports acumen enabled this project to become a reality.